A day headed in one direction is now immediately headed in another. Sometimes the team’s conversation on priorities can be complicated when so many calls are coming in on a busy day, and sometimes the decision is easy. A puppy at the dump is Priority One. If the team hears of one late in the day and cannot find it before dark… sleep does not come. LightShine Canine (LSC) has rescued more puppies (and even large dogs) dumped or stuck in the massive dumpsters after scavenging, than KC can count. Most of the dozen small dumps and landfills sprinkled around the Reservation have housing nearby. Many stray and free-roaming owned animals frequent them for scavenging, and even for socialization, as people come and go throughout the day. Pups follow Mama there, or get brave and head that way on their own, and yes, they are dumped there. On the Reservation, this is akin to putting a baby at the door of the fire station, the best bet they have for maybe, just maybe, someone finding it. On a reservation without an impound or a veterinarian, where many people live in remote areas, this might be the best they can do. KC Willis first arrived at the Pine Ridge Indian Reservation five years ago to help change the lives of a small group of grandmothers. Since drugs and alcohol were stealing the lives of their grown children, they were raising the next generation. These powerful fabulous women in their 60s, rooted in their land and their culture and their people, became KC’s friends and family. It was the grandmothers who first began asking KC for dog food…They explained to her how they fed the strays outside the grocery store or on the streets in front of their houses. It was a grandmother who held out a puppy to KC one day and said “Here KC, it’s sick can you help it? Please take it.” And so she did. And then another and then another, until one day KC found herself with a Lakota friend at her side driving the reservation looking for the ones who had no grandmother to pick them up and hand them off. 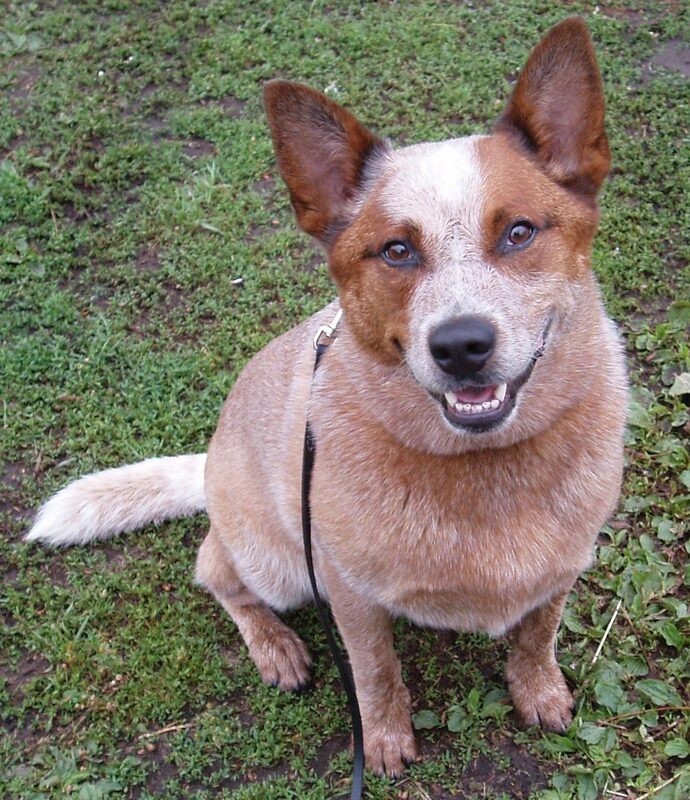 KC didn’t originally go to the reservation to rescue dogs. But with the help of the grandmothers and their request that she do something about a great sadness that walked through their land – thousands of homeless animals who were suffering from over one hundred years of unchecked population growth – LightShine Canine: A Rez Dog Rescue was born. 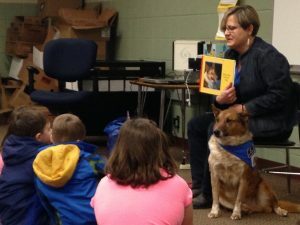 LightShine Canine, a 501c3 non-profit organization, brings the heart of the Lakota and the needs of the dogs together. 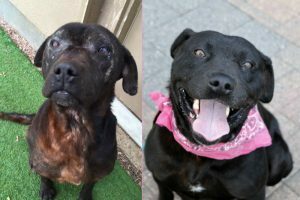 Their goal is to rescue stray, abandoned, injured and abused dogs on the Reservations, provide them veterinary care, and relocate them to foster-based rescue groups around the country. LSC’s dog rescue work program is geared to ensure that the dogs they rescue and the Lakota who assist with this dream are changed forever. The majority of LSC volunteers and rescuers are Oglala Sioux Tribe members taking ownership of the crisis their animals are in. 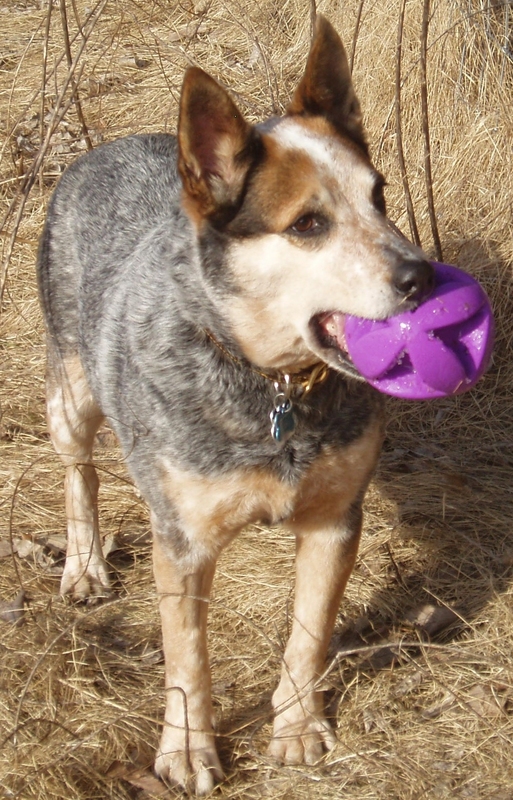 LSC also offers material and educational support to Lakota families who want to better care for their animals. reservations. They cover a large territory answering calls from communities that can be two hours apart. They visit the housing areas and the country roads and the dumps, taking into their care the animals that need help. They respond to Facebook messages, texts and phone calls from residents young and old who now have hope and help care for animals until LSC can get there. They respond to calls from the Tribe and from police officers about the locations of dogs in need. 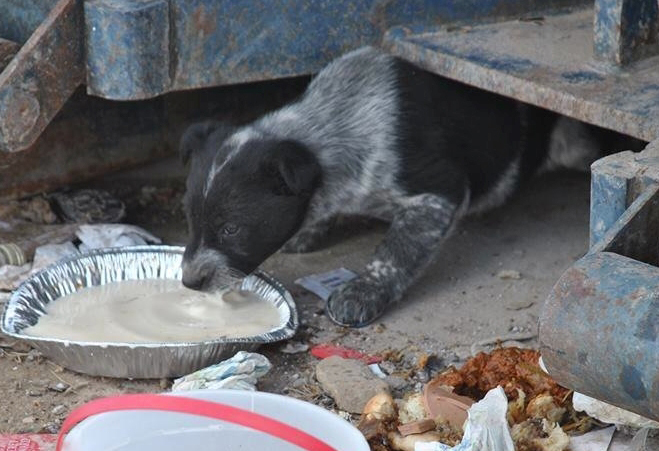 On their way to picking up strays they come across strays, dogs who were born not belonging to anyone and who would otherwise die not belonging to anyone. The populations of the two vast Pine Ridge and Rosebud reservations are among the poorest in this country, with no veterinarian inside their borders. The number of homeless dogs is beyond what the community itself can handle, with no animal impound. 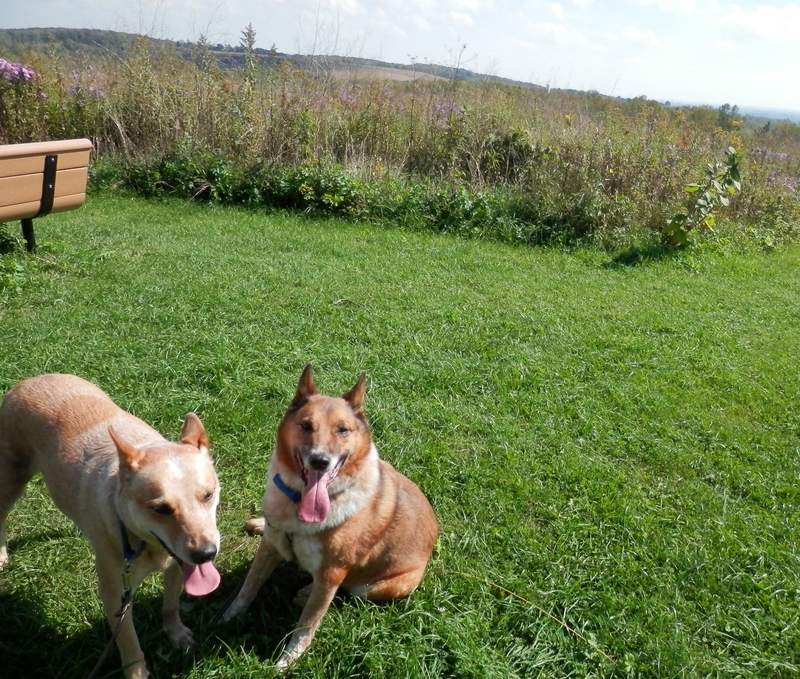 But last year LSC rescued and relocated over 2,000 dogs from the reservations. In the next decade that will represent tens of thousands who will not be born into suffering. LSC has already rescued over 2,000 dogs in 2016, and expects to rescue 2,600 by year-end. LSC knows they cannot save them all, but still pushes forward with love to make a difference for the ones who are close enough for them to touch. 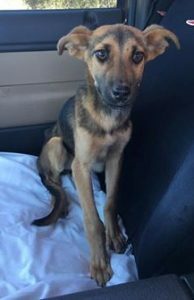 So when LSC received a call at 10 o’clock on a very cold night from an animal lover who had rescued a puppy from the cold, even though a “no travel advisory” had been issued by the Tribe, LSC worker Pete headed out. With a desire to respond to the needs of his community and a mission to save puppies and dogs one at a time, he drove slowly and surely, and made a difference in one more life. Late that night, he sent out the text, “One male puppy on board… a happy camper”. When LSC received a call about a pup stuck in a ravine, Pete headed out with a rope and rescued the pup. 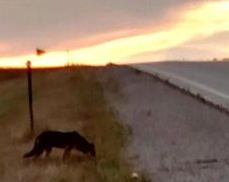 When LSC sees a desperate dog in the middle of nowhere daring to get close to the road to search for food, LSC stops to help the dog. Boots on the ground – Paws off the ground. The dog is safe that night, maybe for the first time in its life. When LSC is asked to help a large dog with a terrible skin condition, they pick her up and take her to one of the veterinarians who work with them to care for dogs who may have never seen a veterinarian before. Months later, a photo of this dog is posted on Facebook. No longer the miserable, hopeless looking dog with hairless patches and dull eyes, she shows off a glossy coat and looks straight into the camera with a sparkle in her eyes. You have to look twice to make sure this dog with the big grin is the same dog, and indeed she is. Then you see that her foster dad has failed as her foster dad and has become… her Dad. Her forever Dad. Another happy ending. When LSC has a very dark day because dogs have been lost to car hits, to abuse, and even to parvovirus while being rushed to the vet, they hold the heartbreak close. And then they look into the eyes of the pup on the seat beside them who almost starved to death, and they know she is safe. They whisper farewell to the ones they lost, sit up a little straighter in their seats, and with determination and a glance at the face next to them, they say, “Paws off the ground.” Today is a new day. With winter coming, LSC is working furiously to help as many dogs (and cats) as possible.  “Donate” tab top of Facebook page. Déjà vu – Could this Happen to You? The video showed houses submerged in brown water, with neighborhoods vacant and almost unrecognizable. A dog struggled to stay afloat in his outdoor run as a man in an LSART shirt reached in to rescue him. With the 11th anniversary of Hurricane Katrina just days away on August 29th, these images looked all too familiar. But this flood occurred in August of 2016, many miles inland from the Gulf coast. Continue reading Déjà vu – Could this Happen to You? The subject line stopped me in my tracks, “My Experience with Tony (“Mountain Man”) and His 31 Dogs”. Tony… Mountain Man. It had to be him! The first line of the article mentioned that Tony had been living deep in the woods of Natchez Trace State Park in Tennessee. My heart skipped a beat. 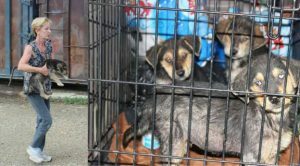 The email message was from Scotlund Haisley of Animal Rescue Corps, who said that in January they had completed five rescue missions in Tennessee. Scotlund remarked that he had found himself reflecting again and again on one rescue of the five that was not their usual case. Senior dogs have a special place in my heart. This is the story of a senior dog who ended up in an animal shelter after her owner passed away. Trigger’s days were numbered until a caring person halfway across the country decided that she would not let this dog die. On October 26th, I received an e-mail message from Julie in Ohio. 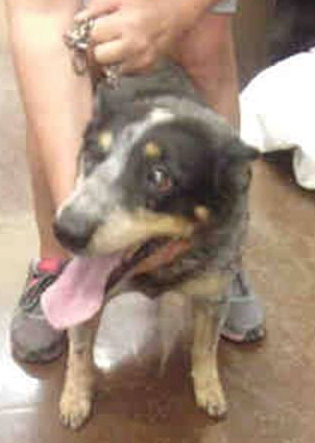 She’d heard about a 14-year-old female Australian Cattle Dog who had been surrendered to a county animal shelter in Arizona on September 12th. A euthanasia date was already set for this old girl, for first thing in the morning on Friday, October 30th, just four days away. With hurricane and summer storm season beginning, I was recently invited to be on a radio show called ‘Heroes of Katrina: Ten Years After – Hurricane Preparedness for Pets’. 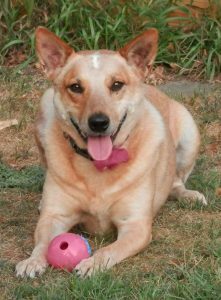 To get ready for the show, I reviewed my classic post, ‘8 Things I learned from 8 State Kate’, the cattle dog who was rescued after Hurricane Katrina and who later came to live with me as she recovered and I looked for her original family. I found the information to be useful still, and added updates from what I’ve learned in the past few years. Johanna’s note reminded me that one person really can make a difference. I was elated to learn that Luca has such a wonderful home. 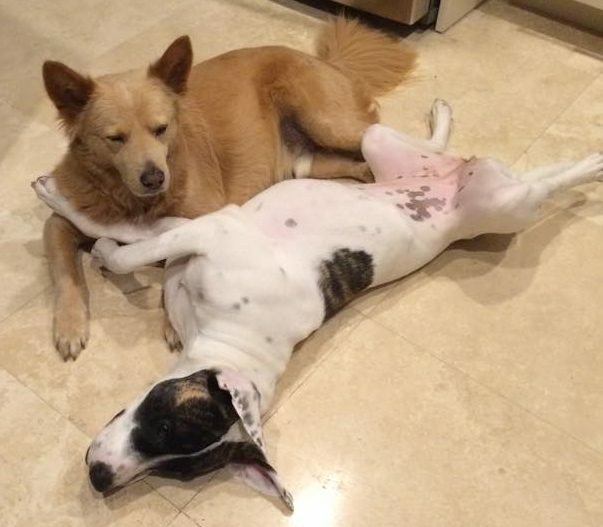 The photo below shows Luca with another rescued dog he’s helping to foster. I felt the depth of Luca’s spirit back in 2012, and hoped he would find a wonderful home. Now he’s helping rescue other dogs. How cool is that? 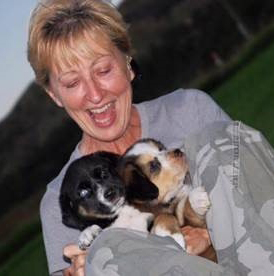 Speaking of new beginnings… Have you ever experienced a moment when told someone your dog’s background and they responded that they never would have known that your dog was abused, or that your dog was a feral pup when you got her? And you paused for a moment, and realized just how far your dog has come, and how proud you are? Cay and I recently completed a therapy dog class. She learned all of the exercises, including walking through a crowd, accepting a physical exam by a stranger, and navigating around wheelchairs and other assistive devices. I remembered when Cay first came to live with us and it took two people to pull her out of the travel crate. 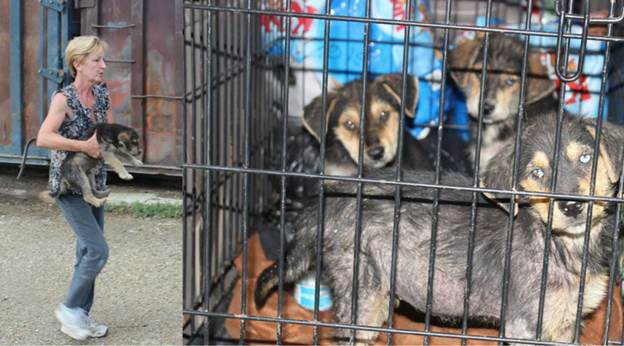 Cay and her puppy littermates had been rescued in the wilderness in Tennessee. She was so afraid of everything, including being touched (http://www.8statekate.net/wordpress/?p=2375). After she’d had some time to settle in at home, I enrolled her in an obedience class. The first time we went to school she was so concerned about the activity in the room and anything happening behind her that she spent much of the night spinning around in a circle. Most of the first few weeks of class were spent helping her adjust to being there. 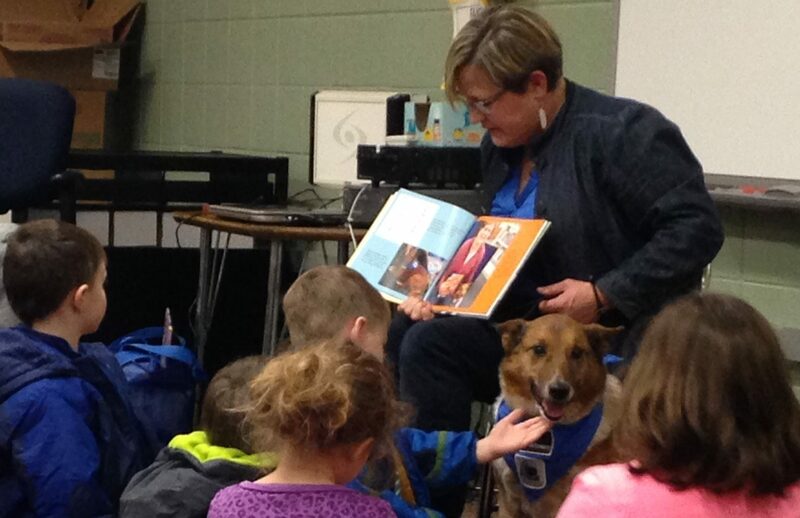 In February, Chase and I visited the local elementary school for “I Love to Read” day. I read them the true story of Chase the Library Dog (share.shutterfly.com/action/welcome?sid=2Ics3LlsxYsl2). About halfway through the book, I realized that while the kids were interested in Chase’s story, they were pretty well preoccupied with snuggling and petting him. I thought for a moment that if I stopped reading the book and just faded into the background, Chase and the kids would continue to enjoy being together and might not even miss me. And that was ok with me. In March, Chase and I had a fun day at the library. We visited with the librarian and adult library patrons, including an older woman who petted Chase as she reminisced about her dog. Three super kids read fun books to us, and we got to visit with their younger siblings too. And I had one of those moments when someone asked me about Chase’s background. 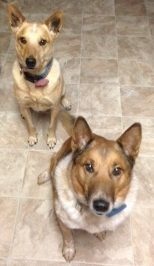 I told them that we think he’s a smooth coated collie-Australian cattle dog mix, and that my friend Sarah, who I met in Louisiana helping care for rescued animals after Hurricane Katrina, rescued Chase in Virginia. I remembered how Sarah saved Chase from a violent man who had stuffed him in a tiny chicken crate and was going to shoot him for chasing sheep. That Chase shook in fear on her lap for a couple of hours until he realized he was safe. And I thought about how amazed people are when I tell them that Chase loves everybody now and that he led me into volunteering at the library. I was reminded of the many miracles that brought Sarah and me and then Chase and me together. God must have been winking all along the way. March 15th marked one year since Bandit’s passing. We miss him, as we’ve been finding our way without him. We’ve had several visits from bald eagles that indicate his spirit is still with us. Several times per week a bald eagle flies over the highway in front of my truck, timing it just right. The week of March 15th, a bald eagle flew over our front yard when the dogsitter was outside with Chase and Cay. She texted me that “Chase was so funny today. We were playing catch for a long time and then an eagle flew over and Chase spent the rest of the time cry-barking trying to herd him in hahaha.” This new dogsitter hadn’t known Bandit (our other dogsitter was on vacation). I replied that Chase talks to the eagles and that bald eagles were around a lot just before and after Bandit passed, and now I see them everywhere. She said, “It’s a sign that Bandit is saying hi to his siblings!” It was a long week, but this made my day. We’ve all heard the saying, “Home is where the heart is.” I’ve lived in the same home for over 25 years. It’s a small house on 5 acres, with a beautiful state park in the back yard. 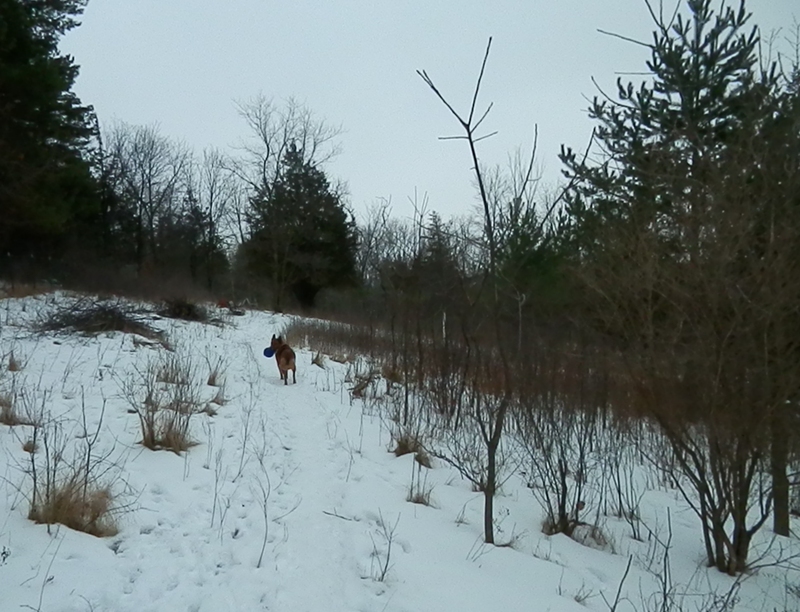 If you’ve been reading along, you’ve read about my adventures with the dogs here, and about the deer, eagles, and other creatures that share this space. 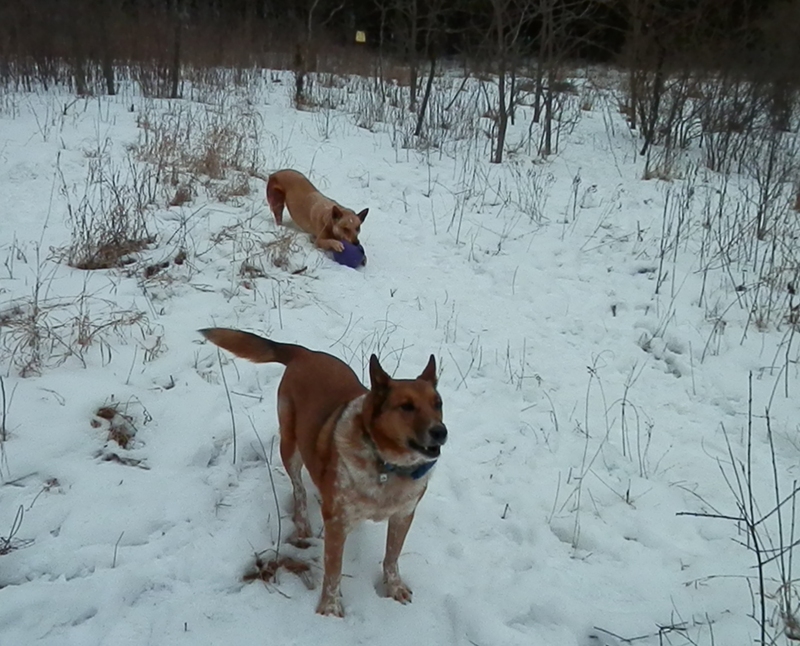 We have well over an acre fenced in for the dogs to run, and can walk from our back yard right into a park with trails and access to the St. Croix River. There’s plenty of space to run, and to set up an agility course or a track for the dogs. Recently life threw me a curve that has me thinking about moving. My job has been going well. I was promoted recently, received a significant raise, and have a new manager who is helping me define my new role. Everything was going in the right direction, when the company announced that it’s moving 15 miles farther west. This may not sound like a lot, but would mean a commute of over 45 miles each way, partly in city traffic, and would likely mean that I’d spend 3 hours or more commuting every day. Over the years I’ve resisted moving for a job and have been able to stay employed. But now there are fewer and fewer jobs on this side of town. My other employment options are mostly also farther west. So I‘ve been faced with the idea of possibly moving. I probably wouldn’t consider it except it’s getting more difficult for me to take care of this place and have time for the dogs and friends and any kind of leisure activities. We’re all getting older. 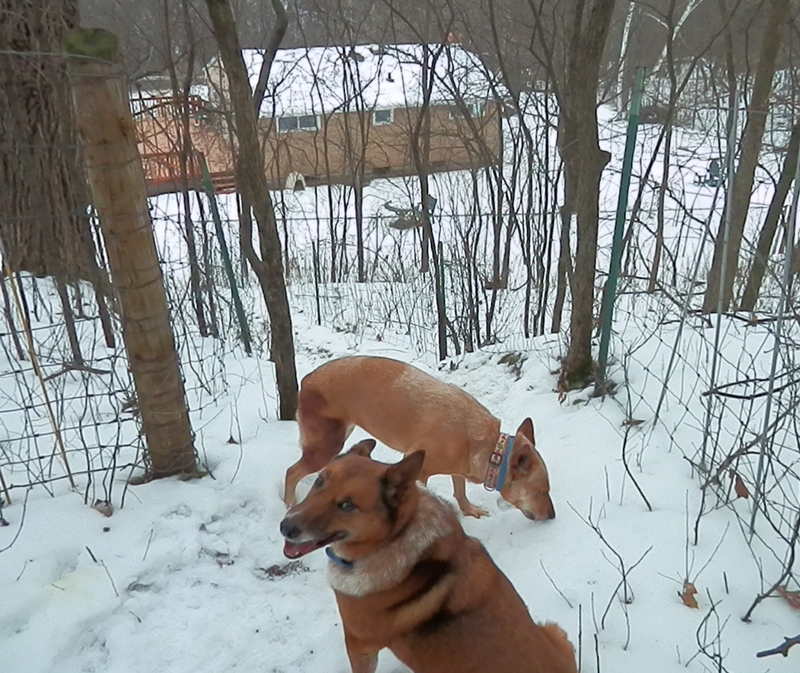 When I began thinking about the tradeoffs of moving, my biggest considerations related to the dogs. We’re used to open space, and quiet and seeing the stars at night. We would be overstimulated by the noises and lights of the city. Much of my daily life is spent playing with the dogs in the yard, walking/running them in a huge fenced area on our property, and exploring nearby parks and trails. I want my dogs to be able to bark once in a while without bothering a hundred neighbors. I don’t want my herding dogs to be overstimulated by too much activity in the neighborhood (which may require some re-training). Chase and Cay have both lived here for most of their lives and would have to adjust to a change. I wonder how dogs adapt to living in the city. 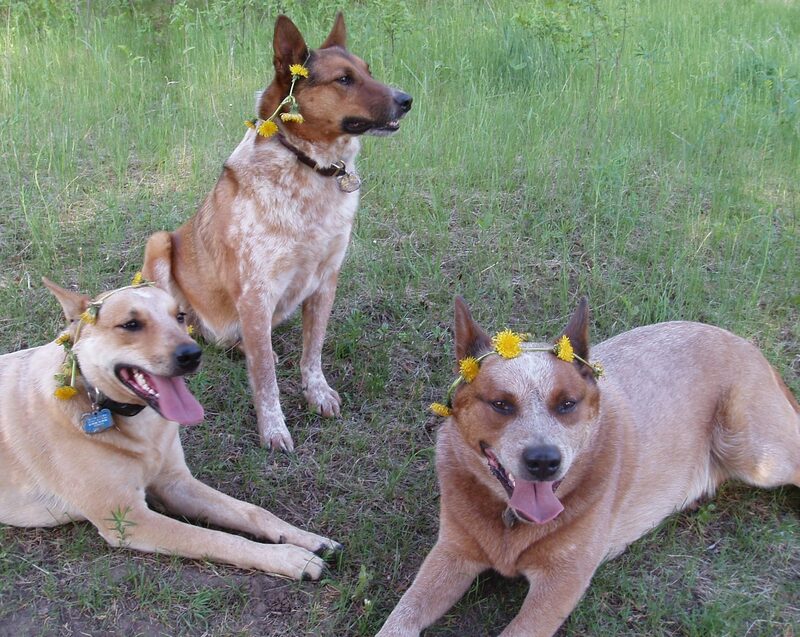 I suppose it’s all that some dogs have ever known. If they get enough exercise and time outside and love and good food, they’re probably fine. But how do dogs who’ve only ever lived in the country adapt to living in the city, or even the suburbs? Mine would need retraining to know that they had a much smaller area to protect. As I’ve driven around suburbs where I might like to live, I’ve noticed that my chest tightens up when I see houses that are close together. House photos online never accurately show how close together the houses are. In one neighborhood, I found a very nice house, not too big, with a 0.62 acre yard. I think it would have been ok, except that the houses around it all had bright Christmas lights and the house behind had a rather gaudy display of brightly blinking lights. It felt a bit too much like Las Vegas. Maybe in the day time, with the lights off, it would have been ok. I guess I’ve been spoiled, especially by not having another house directly behind. Most of the newer neighborhoods in this area have bigger houses and smaller yards. We don’t need a big house, so I’ve mostly been looking in older established neighborhoods, with smaller houses that are farther apart. Some even have half acre, or larger, lots. What about the dogs that live in those big houses with tiny yards? I hope they get out for a good walk every day. 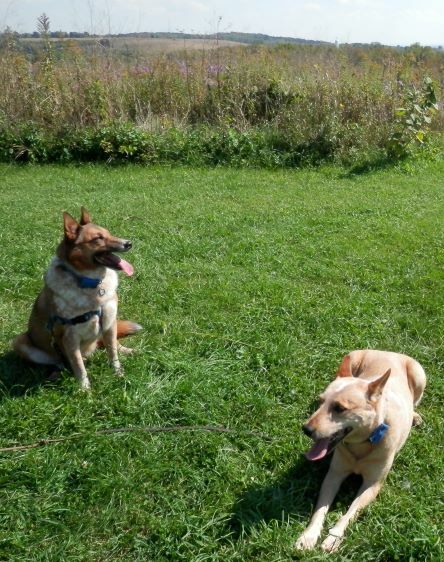 Although a good walk can stimulate their senses and make them breathe hard, even at 7 ½ and 9 ½ years old, my dogs do not wear out easily while on leash. One of my biggest considerations is having open space to exercise the dogs every evening after work. This means a safe place to walk year-round, whether it’s light or dark, hot or cold, rainy or icy. 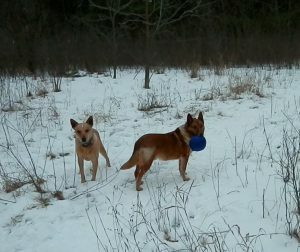 We have enough space on our own property now that I can run the dogs inside the fence in the dark on a cold winter night. I can walk laps around the field, which requires walking up and down hill, and we all get enough exercise and time outside. What if we only had a half acre or less of our own property? A friend suggested that I look for a place with less land to take care of, with a park behind where we can walk. In going through this process of deciding what’s most important, I realized that it’s not just about keeping the dogs happy. For the past 25 years, through all the things that have happened in my life, I’ve had this peaceful place to come home to. What has kept me grounded is that walk on the hill with the dogs. Every night, they get out and run and unwind, using their noses to learn what happened in the neighborhood that day. Every night, I follow them up the hill, discarding the frustrations of the day and grounding myself in nature. In the summer we watch the sun set. In the winter, we look at the stars. I wouldn’t do it faithfully every day by myself. It’s the dogs that get me out. We may stay here or we may move. I don’t have the answer yet. For now, the dogs and I will take our walk up the hill every evening to leave the cares of the day behind and ground ourselves. Give your dogs the best nutrition to help keep them healthy. Supplement their food with Omega Fields Canine Shine (https://www.omegafields.com/canine-products/omega-canine-shinetm.html) and Omega Nuggets (https://www.omegafields.com/canine-products/omega-nuggets.html). Join our mailing list and save with monthly special offers, found in our Health-E-Letter. Thank you for signing up for our Health-E-Letter. © 2019 Omega Fields. All Rights Reserved. Your address qualifies you for free shipping! Nominal shipping charges may be added for those customers with rural or extended rural address. Shipments to Arizona, California, Idaho, Nevada, Oregon, Washington, AA*, AE*, and AP* may incur additional charges based on the product weight. All products are shipped via UPS Ground. Typical delivery time is 3-6 business days from date of shipment. Please note: UPS does not ship to P.O. boxes. Prices Include Shipping To Most States. Nominal shipping charges may be added for those customers with rural or extended rural address and shipments to Arizona, California, Idaho, Nevada, Oregon, Washington, AA*, AE*, and AP*. *Phone Orders required for military addresses using “state” AA, AE, or AP – call toll free order line: 1-877-663-4203. Omega Fields’ First Promise Delivery Program ensures your horse always has the nutrition necessary for a vibrant healthy life. Based on your horse’s unique needs, timely shipments of Omega Horseshine, Proventum, and Nibblers arrive ready to fuel your horse from sun up to sun down. Made in small batches at the mill in rural Wisconsin, Omega Fields’ products only use pure, honest ingredients stripping out fillers and sugars many national brands depend on. Let us help keep the promise you made to your horse when they became a part of your life. Give the First Promise program a try. Omega Fields…Of One Heart. Save up to 10% and get automatic delivery on your most frequent Omega Fields product orders! Checkout and your subscription will be activated. Visit your “My Account” page to modify your subscriptions. Please Note: You must have an account for active subscriptions. You may create an account during the checkout process. Save up to 10% – on your entire order. No upfront payment required – credit card charged only when item is shipped. Cancel at any time – there are no commitments, obligations or hidden fees. Customizable delivery schedule – change shipping intervals, add products, if running short – add 1x delivery, it’s all up to you!